INDUSTRY.co.id - Jakarta, PT Pertamina (Persero) will reduce Pertamina's fuel supply in line with the government's policy of requiring Premium distribution throughout Indonesia. Vice President of Corporate Communications of Pertamina Adiatma Sardjito said that although there is no certainty about the exact number of Pertalite supply reductions, this can not be avoided because of Pertamina's facilities and infrastructure. According to him, the fuel storage infrastructure, especially in the General Fuel Filling Station (SPBU) is limited and it is impossible to increase investment under the current conditions. Consequently the tank commonly used for Pertalite was turned into a Premium storage tank. "Reduced (supply of Pertalite) for sure, tank fixed. Gas stations have five tanks, it is impossible to make a tank again, "said Adiatma at the headquarters of Pertamina Jakarta (21/6/2018). An unfortunate supply of Pertalite supplies. Because of the quality and impact on the environment, Pertalite has a RON (research octane number) 90 is better than the Premium that has RON 88. Adiatma said, Pertalite was used as a stepping stone to be able to support government programs in the transformation of fuel use from low quality to better quality. But as the back of the distribution of Premium makes Indonesia a country that is still faithful to use low-quality fuel. "Though the RON 88 has started up 90. We just got in the middle. Pertalite is not the final target, RON 92 and Euro IV become the final target. Behind Premium can, but we are isolated in the world because now the only 88 used Egypt, Russia, and North Korea was for alutsista, "said Adiatma. Presidential Regulation (Perpres) No. 43 of 2018 on Amendment of Presidential Regulation No. 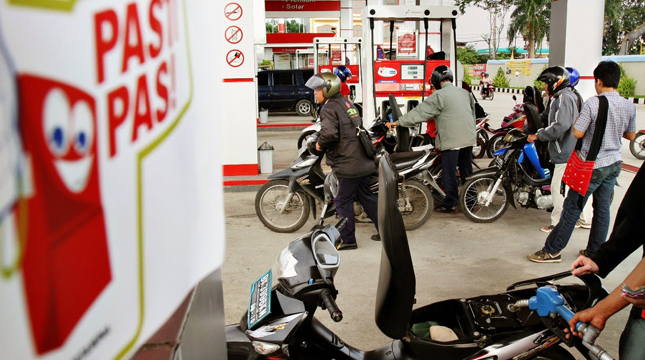 191 of 2014 on the Supply, Distribution and Sale Price of Retail Fuel Oil, stipulates the re-Premium is required to be distributed throughout the territory of Indonesia. Whereas previously Premium is not required to be distributed in Java, Madura and Bali.